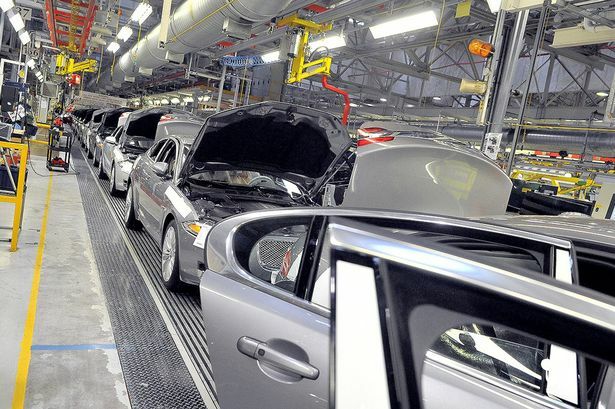 Professor David Bailey reflects on the impact of EU membership on the UK’s auto industry. The UK government likes to boast that the UK’s auto industry is undergoing something of a revival, in assembly terms at least. Indeed the UK’s auto sector has experienced investment on an unprecedented scale of late. This has come on the back of a major upturn in auto assembly in the UK – up by over 50% from a low point of around a million cars in 2009 – combined with changes in economic fundamentals which are encouraging firms to build more cars here and to source more components locally. Remarkably, over £8bn has been invested by major auto assemblers over the last 3 years. It’s hoped that the industry will – by 2020 – overtake its historical peak level of output of 1.92 million cars (a record set back in 1972). At the same time, the UK government will hold an ‘In-Out’ EU referendum at some point over the next few years. The impact of EU membership on the UK’s auto industry was explored in a recent UK in a Changing Europe event organised by the Aston Centre for Europe (ACE) and the Aston Business School. Participants heard a mix of views, with arguments in favour of continued EU membership, and also of exit. Those in favour of continued membership of a reformed EU, including Mike Hawes of the Society of Motor Manufacturers and Traders (SMMT), John Leech of KPMG and Tony Burke of UNITE the union pointed to what they see as significant benefits for the UK’s auto industry from staying in the EU, particularly in relation to investment, growth and job creation (all the things that the UK’s auto industry has been enjoying of late). Other voices, notably Alex Storey from Business for Britain, and automotive journalist Neil Winton, argued that the UK auto industry would do continue to do well outside the EU. The pro-EU membership argument stresses that EU membership boosts both the attractiveness of the UK as a place to invest, and the competitiveness of the domestic automotive industry. Not surprisingly, it notes that access to the Single Market is fundamental to UK auto manufacturing, thereby supporting sales and facilitating supply chain growth. Those pro Brexit, like Neil Winton, argue that if Britain left the EU “it would quickly (within hours?) negotiate a free trade deal with little difference to the current arrangements”. That’s probably correct; a trade deal with Europe would probably indeed be done. But a second, more powerful argument centres on regulations and standards. Those in favour of continued membership highlight that the UK needs a powerful voice at the EU level to make sure that the specific needs of the UK’s auto industry are considered. Over 50% of UK auto exports go to the EU, so even if the UK were to leave and maintain access to the Single Market, producers in the UK would still have to meet European regulations so as to sell into Europe. That would mean having to anyway follow European regulations rather than helping to shape them, which might mean German of French firms shaping them for their own benefit. At the moment, it’s argued that UK-based niche firms like Bentley, Aston Martin and Jaguar Land Rover can benefit from the British government having a seat at the table when regulations are thrashed out that impact on the industry. They would lose that voice if the UK was no longer a member. On that, the UK’s auto industry has actually benefited from the government managing to soften tough EU carbon emission regulations for its smaller niche manufacturers. Again, the pro-Brexiters like Neil Winton are sceptical of this argument, pointing to how the likes of BMW and Mercedes are “hugely successful in the US and China, with no say in the politics at all” (although it should be noted that China has tended to follow the EU’s own ‘euro’ standards on engines over time). Those supportive of the EU membership point to EU bargaining power in trade negotiations being critical to improving access to international growth markets, thus helping major exporters such as Jaguar Land Rover, and in ensuring mutual recognition of standards. Pro-Brexiteers argue that the UK acting alone could anyway more quickly cut its own trade deals with other countries than an EU that has to please 28 countries. That’s probably the case but some critical issues would remain on ensuring mutual recognition and greater regulatory convergence across technical standards and approvals procedures (the SMMT cites CEPR work suggesting that transatlantic auto regulatory divergences are equivalent to a tariff of 26%). It was interesting that at the Aston event new technological opportunities and challenges around autonomous cars and data protection were highlighted in the European context by discussants, both in terms of standard setting for new technologies and in maintaining access to research networks developing such technologies. The latter point relates to some other arguments for remaining in the EU, such as on ensuring access to EU funding and research networks that has supported R&D and innovation at businesses and universities in the UK, and the free movement of labour which enables UK-based firms to combine domestic and international talent (which was seen as especially important by some at the event given skills shortages in the UK industry). Of course, that doesn’t mean that the EU can’t be improved, such as through the simplification of regulations and reducing complexities for firms operating in the EU, something that those in favour of continued membership were keen to stress. Overall, the debate on the importance of EU membership for the UK auto industry boils down to two views. On the one hand is a view that Brexit is compatible with retaining a strong auto industry, as trade deals would anyway be cut with Europe and other countries. In contrast is the view of the SMMT that “being part of a strong Europe is critical for future success” in particular by being able to shape regulations in Europe and ensuring mutual recognition of standards in wider trade deals. While the Aston event focused on the UK car industry, the issues it raised – in terms of the single market, influencing regulation, trade, access to funding and networks for innovation, and the free movement of labour – will no doubt be relevant for other sectors in the UK economy as the in/out debate gathers pace. * Professor David Bailey works at the Aston Business School in Birmingham. This entry was posted in Blogs, Economics, European Trade Unions, Labour Party, Media, Politics, Solidarity, Trade Unions, Unite The Union, Workers Uniting. Bookmark the permalink.